Inspired by The Global Summit? 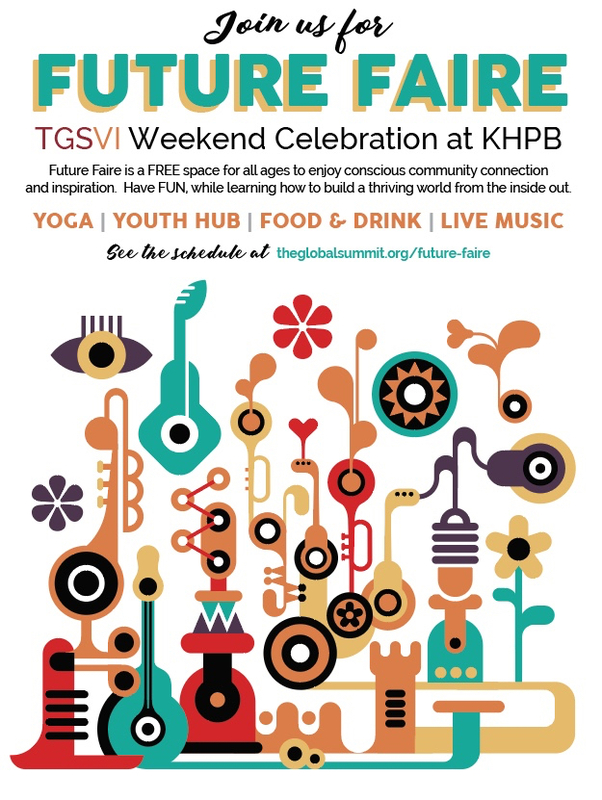 TGSVI Future Faire is a FREE event for all ages to enjoy conscious community connection and inspiration. Have FUN, while learning how to build a thriving world from the inside out. Youth Hub dialogue space & Eco-Educational KidsZone! View the Future Faire schedule & directory.